Body composition is important for many reasons. Contrary to popular opinion, none of them having nothing to do with how you look in a swimsuit! We’re excited to partner with DEXA PDX to offer Hyatt Training members an easy and accurate option to track and measure body fat percentage, muscle mass and visceral fat. DEXA PDX provides mobile, on-site DEXA Scans to help track fat loss, and monitor muscle gain. They also provide a key health assessment by measuring visceral fat and identifying muscular imbalances – ALL in one 7-10 minute scan. Hyatt Training will be hosting a DEXA Day with DEXA PDX exclusively for our members. These measurements will help show you that the scale is not the only thing that matters. As you work out and eat right, your body builds muscle and loses fat… often the scale will show no progress but your body is trying to tell you more. Appointments will be available every 15 minutes starting at 7am. Morning appointments should be scheduled first. 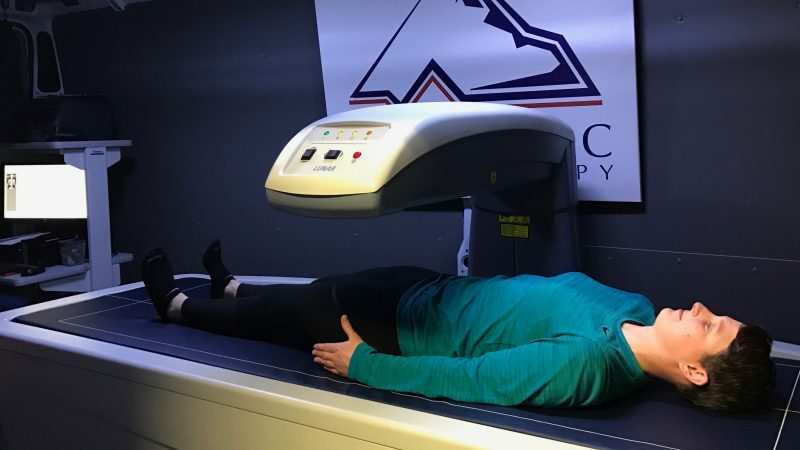 Our team encourages you to take the opportunity to learn more about your body with a DEXA scan. Your initial scan is $97. Additional follow up scans are $70 each. At the time of your initial scan, you can pre-pay for your second scan for $140 (A $27 savings). Please note that Hyatt Training is offering the DEXA scan onsite solely as a service to our members. You pay DEXA directly for your scan and Hyatt Training is not financially gaining from the arrangement in any way. Hyatt Training is a collective of certified, enthusiastic and innovative personal trainers in Portland, Oregon. Our core values are the heart, soul and guiding principals for every decision day in and day out. Staying true to a steady set of values ensures our clients receive consistent results for their entire personal training experience. Education and service drove our decision to host DEXA PDX. We believe in making the world healthier, one person at a time and look for every opportunity to make our clients and community stronger and healthier. To learn more about our personal trainers, or to set up a free consultation to see how they could help you, email us at Go@HyattTraining.com.